Buy SPOTILISTED a Coffee. ko-fi.com/spotilisted - Ko-fi ❤️ Where creators get paid by fans, with a 'Buy Me a Coffee' button. We have been working as a music publishing and artist management company for many years helping to connect producers with the industry's biggest labels and artists. Recently, we've seen the need to build a dedicated team to help assist independent artists on the path to a sustainable career in music. These days, Spotify is one of the largest and most viral platforms to determine the success of an artist, so we have come up with a promotion network for the new industry of music streaming. We primarily deal with user-curated playlists. We know these particular users take special care of their own playlists and have grown their followers organically. With the synergy between our management skills and our team, we have succeeded in helping artists reach hundreds of thousands of listeners in less than a year, placing them on many top playlists. These results wouldn't be possible if we relied on social network campaigns alone. The spreading of music through audience targeting is the new objective in the music business. Your donation is a way of reaching out a helping hand. By providing even a small donation, you can be part of an effort to help “hidden gems” to be discovered by a huge audience and since we also create and manage playlists on behalf of artists who collaborate with us, this would allow us to build an audience that keeps growing and who will have new artists and songs made available to them. Secured Payments. Support goes to SPOTILISTED's account. 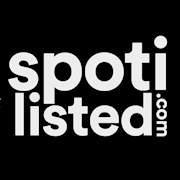 Upgrade SPOTILISTED to a yearly Gold Membership with a one-time payment.